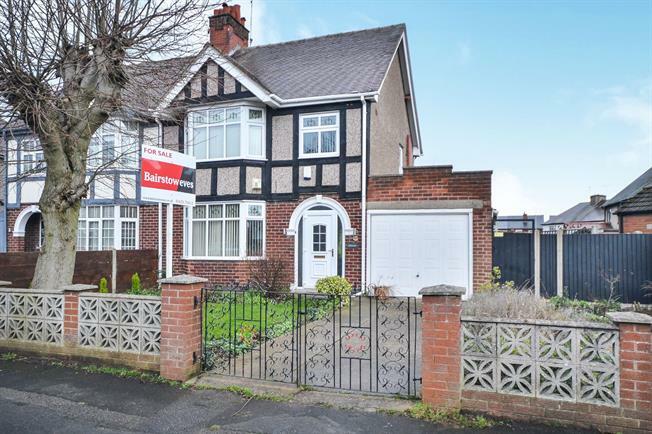 3 Bedroom Semi Detached House For Sale in Nottingham for Offers in the region of £155,000. Spacious three bedroom semi detached house is in a sought after location and offers great potential for any growing family. The property is well presented throughout and briefly comprises of; entrance hall, dining room with an open fire, lounge and kitchen which leads through to the garage. To the first floor is a modern family bathroom and three bedrooms with two being good size doubles. Outside the property to the front is a paved drive for multiple cars and leads to a garage. To the rear is a generous sized garden which is mainly lawned with block paved sections and low maintenance beds. A viewing is highly recommended to appreciate the size and quality of this property.